Close to the picturesque Parque Nacional del Este and the city of Bayahibe, the Casa Ponce de Leon (Ponce de Leon House) is the surving residence of famed Spanish explorer and conquistador Juan Ponce de Leon (1474-1521). 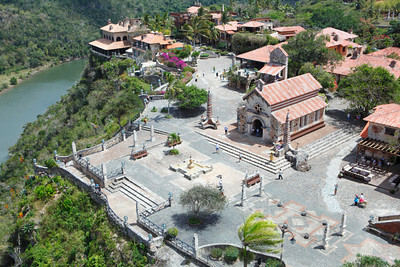 A worthy Dominican Republic tourist attraction, it is within easy reach of the resorts at Punta Cana and La Romana. Juan Ponce de Leon is best known as the "discover" of Florida (which he supposedly found while searching for the fabled Fountain of Youth) and the first governor of San Juan (Puerto Rico). A gentleman sailor on one of Christopher Columbus's New World voyages, Ponce de Leon lived in Hispaniola (the island that comprises Haiti and the Dominican Republic) from 1502 to 1508. While there, Ponce de Leon was called upon to crush a rebellion of native Tainos in the east of the island (read more about the history of the Dominican Republic). Once successful, he founded the town of Higuey and had this impressive stone mansion built by Taino slaves for his family. Ponce de Leon ran the estate as a working farm and sugar plantation before leaving for more profitable ventures (and conquests) in Puerto Rico and Florida. The building is now restored in an early 16th-century style, complete with period furniture and the explorer's suit of armor. 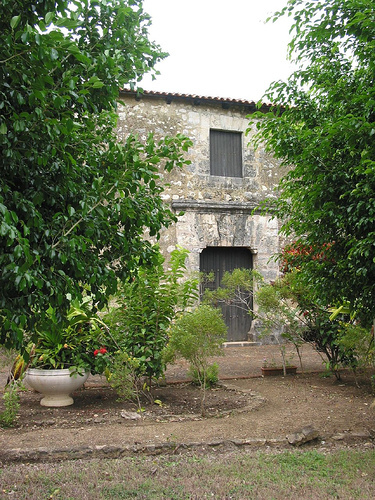 Tours (in Spanish) of the Casa Juan Ponce de Leon are available for about $10 US on top of the nominal entrance fee. Juan Ponce de Leon, a figure from Dominican Republic history.